Its official folks. 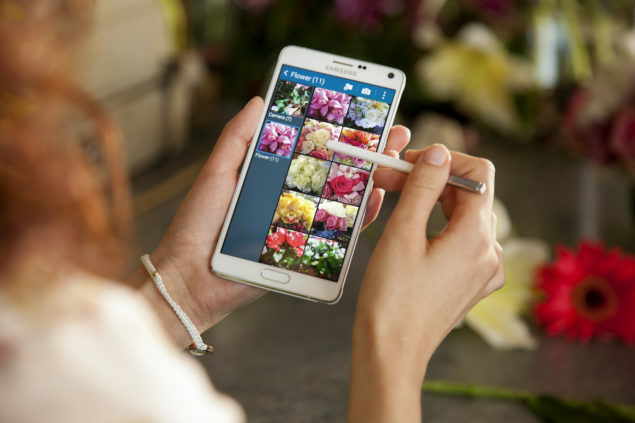 For its last release of 2014, Samsung has officially launched the Snapdragon 810 powered variant of the Galaxy Note 4. The Samsung Galaxy Note 4 with the Snapdragon 810 on board will be the first 810 device to be available commercially. The Snapdragon 810 powered Samsung Galaxy Note 4 will be available starting this January, and the device will see its initial roll out in South Korea. Samsung has not announced whether the device will be made available globally as well. Samsung Launches The Samsung Galaxy Note 4 LTE A With Snapdragon 810 On Board. Processing, computing and graphics power are not the only features this version of the Samsung Galaxy Note 4 that stand out. The device also comes with Cat. 9 LTE on board, that will end up lending the device some blisteringly fast download speeds. The current Samsung Galaxy Note 4 comes with dual-band carrier aggregation LTE-A, that ends up giving the device download speeds of up to 150 MB/s. The Galaxy Note 4 LTE-A comes wit tri-band carrier aggregation, that will theoretically end up giving the device download speeds of up to 450 MB/s. While all of this sounds amazing, its highly unlikely that we will be able to see the Galaxy Note 4 LTE-A achieve these speeds in the first half of next year. But that’s not to say that when they do become available, the Galaxy Note 4 will be able to take advantage of them. Samsung has also not said anything about the pricing of the Galaxy Note 4 LTE-A, or whether the device will be available for consumers outside of South Korea. By looking at things in the past, its highly unlikely for the device to see global availability. After all, the Samsung Galaxy S5 LTE-A was also announced earlier this year, and the manufacturer made it explicitly clear that the device was for folks in South Korea only. Lets see (and hope) Samsung has a change of heart this time around.